* Most students have sung or played familiar musical tunes in rounds. * Now, with Getting A "round" Two It, students can delight in hearing these songs in a whole new light! 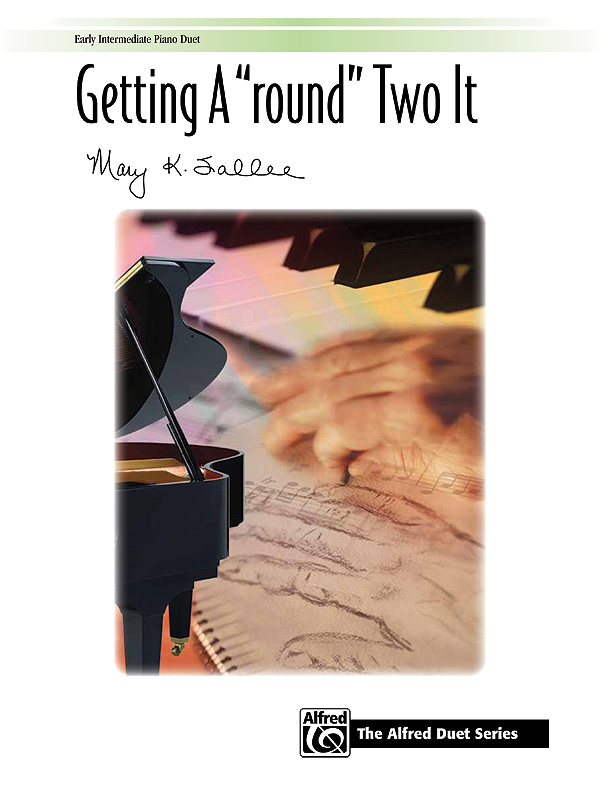 * This duet, written in C major and 4/4 meter, uses both primo and secondo to overlap, twist and stylize classics such as "Brother John", "Mary Had a Little Lamb", and "Old MacDonald Had a Farm" into an entirely new and creative performance piece. * Adding extra flair to this showstopper is a clever switch in parts (featuring the performers swapping places on the piano bench) that will leave the audience shouting for an encore!